The BJP will be a part of the government in Jammu and Kashmir in the future, as the "jinx" of having never been in power in the state has been broken, senior party leader Ram Madhav said today. 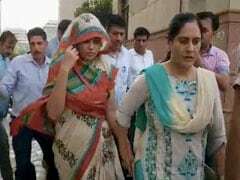 The remarks by Ram Madhav, who is in-charge of the party's affairs in the state, came months after the Bharatiya Janata Party (BJP) pulled out of its alliance with the PDP in Jammu and Kashmir. 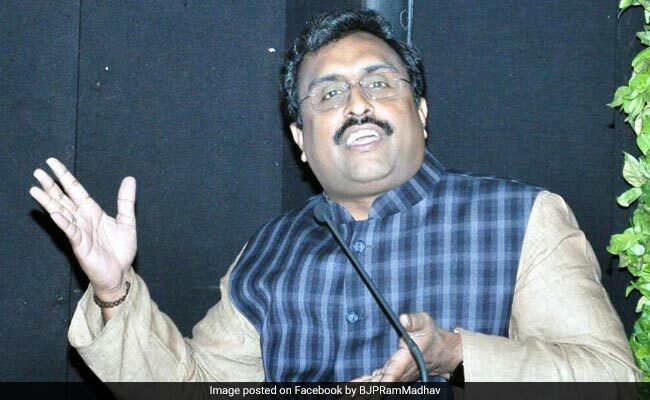 "I say with confidence that whenever the government is again formed in Jammu and Kashmir, the BJP will be a part of it," Ram Madhav said, adding that the "jinx is broken". At an event in New Delhi, Mr Madhav said when the BJP comes back to power, it would work towards taking Jammu and Kashmir to a new direction. Talking about the Peoples Democratic Party-Bharatiya Janata Party coalition government that collapsed in June, Ram Madhav said there were difficulties, but despite that, some things were achieved. "We wanted to do a lot. But when we thought that things are not going according to us, we came out (of the government)," he said. He said separatism since the last 70 years and terrorism since the last 30 years had hampered progress in the state. Ram Madhav said the BJP's four-pronged approach to tackle the security situation in the state would continue despite the party not being in power in Jammu and Kashmir. "Kashmir is going nowhere. Kashmir is an integral part of India," he asserted.